Hazrat Maulana Allah Yar Khan (R.A.) (Known as Hazrat Gee RA) was famous spiritual personality of 20th century and he was Grand Sheikh of Silsilah Naqshbandia Owaisiah. In 1974/75, he foretold the invasion of Russia in Afghanistan and predicted the disintegration of Russia. 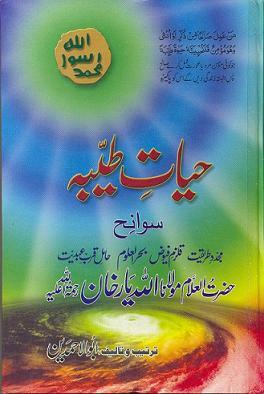 His many spiritual foretellings about Future of Pakistan and Ghazwa-e-Hind are mentioned in a book Hayat-e-Tayyiba. Hazrat Gee (Maulana Allah Yar Khan) stayed at Karachi from 19th of December,1970 till 24th of January,1971 because of not finding the flight for Jeddah. At that time, the centre for ZIKR was also established at MAARI-PUR air-base. When Hazrat Gee went to the place of aviation zikr companions at Maari-pur; there he heard the discussion related to Hazrat Abdullah Shah(R.A.), who was a renowned ‘SAHABI’. 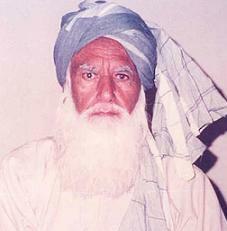 Hazrat Gee paid attention to the discussion and said that He (Hazrat Abdullah Shah) is not a ‘Sahabi’, rather a ‘TAABAI’. Hazrat also added that Hazrat Abdullah Shah is inviting us at his Tomb. Hazrat Gee never used to visit any person’s tomb other than those of MASHAIKH’S or of his companions of meditation. But Hazrat Abdullah Shah of Maari-pur is the sole person, to whom’s tomb, Hazrat Gee went with his companions, because of his invitation. Hazrat Gee marked out the particular place of Hazrat Abdullah’s burial, because his grave was extra-ordinarily long. He said that although his height was a bit taller than normal, but from his head side, the grave has been given extension unlogically. “ IN MY UMMAH, THERE ARE TWO SUCH FORCES, ON WHICH ALLAH HAS MADE HARAAM THE FIRE OF HELL; ONE IS THE FORCE WHICH WILL ATTACK HINDUSTAN & THE OTHER WOULD BE THE ONE WHO WOULD ACCOMPANY HAZRAT ISA IBN-E-MARYAM (A.S.)”. When Hazrat Abdullah Shah heard about the Hadees of Ghazwat-ul-hind; he left the country without any delay & headed towards the most renowned Hind-state of that time. Because he did not want to remain unrewarded regarding participation in this Ghazwa, about which Hazrat Muhammad (P.B.U.H). gave good news(basharat) of entering Heaven without any judgement. Such type of good news came either in the destiny of lucky SAHABA in the era of Hazrat Muhammad (P.B.U.H. ); such as ‘ASHRA-E-MUBASHSHARA’ or people of ‘BADR’ & now this reward would come in the fate of the participants of Ghazwat-ul-hind. What to say about the lucky fate of those soldiers who would avail practical participation in Ghazwat-ul-hind. But in every era, the pious people who used to spend their days on horses’backs and used to spend their nights in bowing in front of Allah; they all desired long for Ghazwat-ul-hind. Ghazwa basically is a war in which the participation of Hazrat Muhammad (P.B.U.H). involves physically. It is strange that this Ghazwa has to take place after Allah’s Rasool S.A.W. & more strange is the happy news of entering JANNAT questionlessly, for its participants. From one aspect, Hazrat Abdullah Shah can be appointed leader of the passionates for participation in Ghazwat-ul-hind; as he left his country in this desire and is resting today at the sea-coast of MAARI-PUR. This is the reason that Hazrat Gee regarded him and visited his Tomb on his invitation. Then companions saw through meditation that the passionates who are participating in this Ghazwa are from different world nations, different generations & are having different get-ups; but all are having one thing in common, i.e., they all are untidily involved in this Ghazwa, having deep desire of being martyred according to the sayings of Hazrat Muhammad (P.B.U.H). Regarding the Hind-land, Hazrat Gee also made us see the era of Hajjaj bin Yusaf i.e. , after prayer of JUMA, the broad area of MASJID is filled with people, who are standing in front of Hajjaj bin Yusaf with the applications in their hands, on which it is written that because of some private problems, they should be given disapproval of going to HINDUSTAN with Muhammad bin Qasim. Suddenly, an order came from Hajjaj bin Yusaf that the heads of these people have become load on their necks like ripped bunches, which must be get separated from the entire body. It was the result of dual intenders (munafiq), which are present in all eras. But for their removal, strong Hajjaj bin Yusaf is being found rarely. Whereas judgment of many gets delayed for the day of judgment. 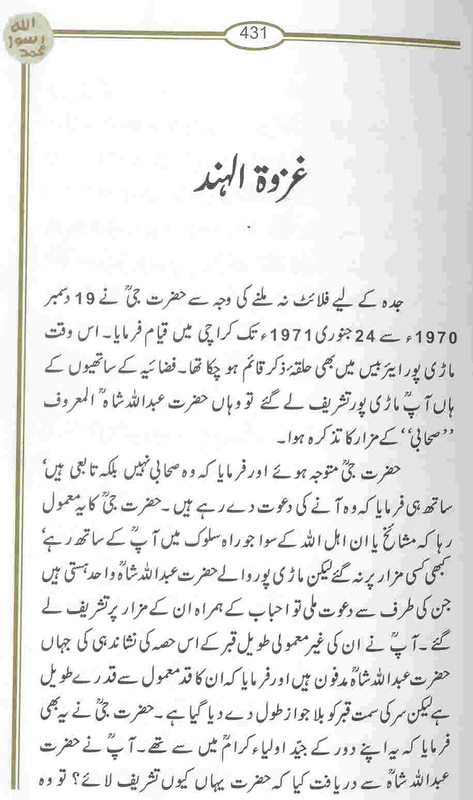 In 1972, Hazrat Gee came to visit Karachi. In those days, a troller of Russian Navy was anchored hiddenly in an open sea near few kilometres of Karachi coast. It was on every one’s tongue that this troller is in search of a Russian Sub-marine, which came in war of 1971 to assist the enemy, but got drowned here. Because of the presence of Russian ship in Pakistani Seas, there prevail a lot fear in the people of Karachi & they were expecting another war because of 1971 war. Hazrat Gee was not having any doubt about the future of Pakistan, as no other big war would be imposed on Pakistan before Ghazwat-ul-hind; of which Hazrat Gee mentioned many times. 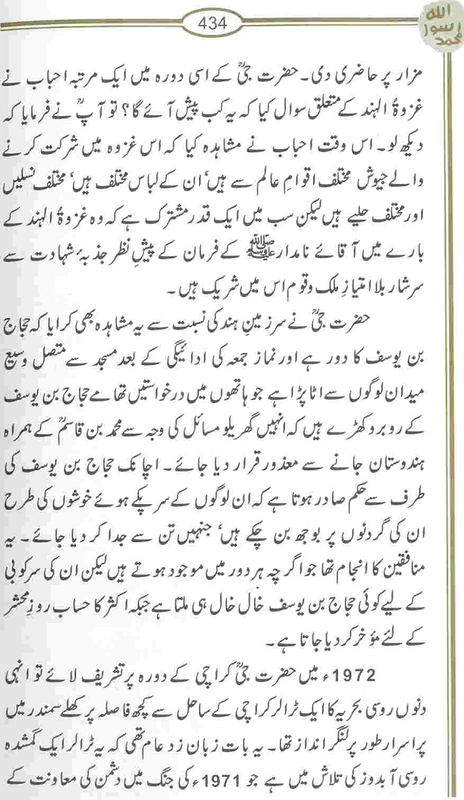 According to this statement of Hazrat Gee, that now, before Ghazwat-ul-hind, there would be no war occurring between Pakistan & Hindustan; the good news of victory can only be of Ghazwat-ul-hind. Furthermore, being a GHAZWA, it would be having the leadership of Hazrat Muhammad (P.B.U.H) due to His full attention; and how from BARZAKH, it would take form of personal companionship , ALLAH knows. Hazrat Abdullah Shah was also waiting for the time that when Ghazwat-ul-hind would start and he would participate in it, although spiritually. While our visit to his TOMB, he said that he would be the part of Ghazwat-ul-hind & Hazrat Abu-Hurairah(R.A.) as well. 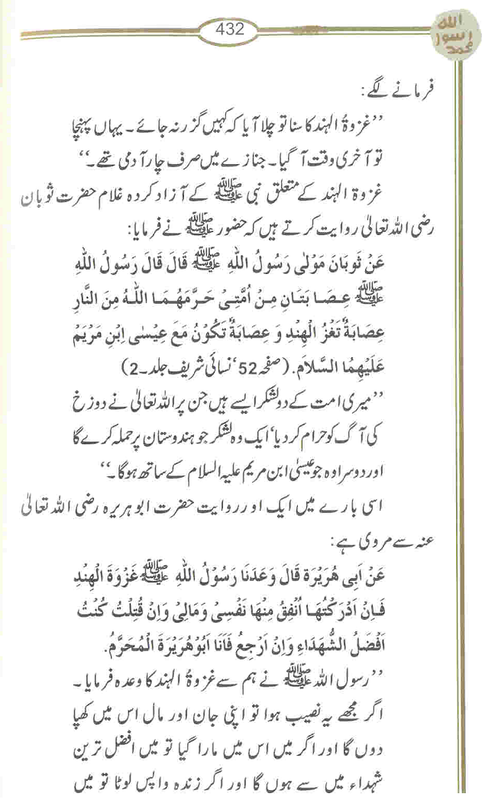 Till then, Hazrat Abu Hurairah’s saying about this Ghazwa was not known. When found his sayings, then it came in front that he also desired deep for participation in this Ghazwa. It came to be known that any person who died along with the desire of participation in Ghazwat-ul-hind; he would also be spiritually, the part of this Ghazwa because of his intentions. Whatever the form of participation would be; the certificate for Heaven’s entrance without any judgment has been received. But the real good luck for its participants would be to have the supreme attachment with MUHAMMAD (P.B.U.H. ), because of this GHAZWA. This entry was posted in Maulana Allah Yar Khan RA. Bookmark the permalink. Asslaam AleykumWah AAJ kya Post kiya hey, Ghazwa e Hind yaqeenan aik bohat bari saadat hey, aik raaz hey , aik bohat bari khushkhabri hey.jo shahadat ka shouq o jazba rakhtey hain wo yaqeenan is ghazwa ka bari shiddat se intezaar kar rahey hain, aik aam shaheed ko wo maqaam nahi milta jo ghazwa k shuhdaaye kraam ko milta hey,wah rey kya qismat teri aey nojwanan e pakitan, pta nahi ALLAH KAREEM KO TERI KONSI ADAA PASAND AGAI K TUJHEY AZEEM SAADAT K LIYE CHUN LIYA GYA, WAH REY QISMAT TERI AEY SHAHEED E GHAZWA E HIND, JAB TUMJHEY SHAHADAT KA JAAM PILAYA JAYE GA TO TUMJHEY AWWALEEN MAIN DAAKHIL KIYA JAAYE GA, aur yaqeen rakh k awwaleen jannat ul firdous k aala tareen darjon main hongey, pta nahi ALLAH KO teri konsi adaa pasand agai, main jab is saaadat k barey main soch soch kar thak jata hun aur koi jawab nahi milta , to sirf itna hi keh kar chup ho jata hun." HAAZA MIN FADLEY RABBI " YA ALLAH HAM SAB MUSLMANON KO GHAZWAYE HIND MAIN SHIRKAT KI SAADAT NASEEB FARMAA AUR GHAZWAYE HIND MAIN SHAHADAT NASEEB FARMA AMEEN SUMMA AMEEN. Important part (page 434) is that this Ghazwah will be fought by Khilafah (union) of many countries…"Then companions saw through meditation that the passionates who are participating in this Ghazwa are from different world nations, different generations & are having different get-ups; but all are having one thing in common, i.e., they all are untidily involved in this Ghazwa, having deep desire of being martyred according to the sayings of Hazrat Muhammad (P.B.U.H)." Faqar, so it means armies (Jaioosh) of different countries or union of armies.No one including the NATO, EU, USA can ever prevent the oppression going on in the world; but once the Turkish Islamic Union is established, there will be no oppression.http://us1.harunyahya.com/Detail/T/EDCRFV/productId/36908/NO_ONE_INCLUDING_THE_NATO,_EU,_USA_CAN_EVER_PREVENT_THE_OPPRESSION_GOING_ON_IN_THE_WORLD;_BUT_ONCE_THE_TURKISH_ISLAMIC_UNION_IS_ESTABLISHED,_THERE_WILL_BE_NO_OPPRESSION. @Bilal KhanYes brother Ameer Muhammad Akram is one of those who brought this topic 'ghazwa e hind' at top in last few years. http://naqshbandiaowaisiah.com/library/Hayyat_e_Tayyabah_I/Hayyat%20e%20Tayyabah%20I.zipi think this is the source. @AslamThanks brother for the book link, yes it is working and provides complete book in PDF.Added that link in above post. @NNVisit library for more books http://naqshbandiaowaisiah.com/library/@AKThat 150 years old book is huge, Although it has same prediction which I mentioned before. but I will add some important info from that book.AndAbout irritating comments, Actually its a part of our training process. More you will be humiliated, more you will become humble and believe more on your ideology. (Best way to get Qurb-e-Elahi). Humain to wohi karna hai jo humain Islam ne sikhaya hai aur Huzoor-e-Akram (S.A.W.) ki zindagi hi humare liye behtreen namuna hai. As blog admin, I said I will delete any abusive/hatred comment, No other restriction, people come and share info whatever they think for the benefits of their brothers and sisters. I can only request to readers, We are Muslims and Pakistanis that's enough to introduce ourselves, no need to further classify in front of any one, plus we all must read Quran, Hadith, our Islamic, spiritual history and Kalam-e-Iqbal(my fav) to absorb the real essence of Islam. @AKSister Arsla your are right admin should intervene and delete hatred comments. @FaqarBrother you are also right that it is our training program. Infect life in this world is our training program for Paradise. @AMWa Aliekum Assalam,You mentioned pages 14-17, Are you referring Pages 14 to 17 of the same Book Hayat-e-Tayiba? PDF book? plz upload javed chaudhary's today's column.its not spiritual but related to future. @hussainAfter Javed Chaudhry's Hindu Muslim Daal Article, I think he is wrong footed, I don't know who is feeding him surely some foreign agency. Who is that Tom, Dik, Henry….Its all psycho war. Nothing will happen, America ko shok hai to attack kar ke dekh le. Woh mulk Tabah ho jaye ga jis ne Pakistan ko barbad krne ki koshish ki.March April bohat doooor haiHanooz dilli Doooor ast. Brother Faqar 24 Dec ko nato supply dobara khul rahi hay kia aisa ho ga ? ajj phir wazeeristan may dron neechi perwaz kartay rahay army kay daway kahan chalay gaiy ?kia sub jhoot bol rahay hain ? @faqr e Ghayoor:@"after Hindu Muslim Jc is wrong footed" yar apnay apnay views hotay hain.Gustakhi maaf ,lakin iss tijarati muahiday se pakistan ko bhi toh fayeda hua hai.Yeh ek long debatable issue hai k kis ko kitne rupay aur kitne pese ka nuqsan hua.lakin kehne ka mqsad yeh hai k ek column ki base pe aap kisi ko wrong footed toh nahi declare ker sakte.Han,aap uss ki uss maamlay mein raye se disagree zarur ker sakte ho. @"March april bht door hai"Dobara gustakhi maaf lakin ek taraf aap ne yeh comment likha hai aur sath he latest post oriya maqbool jan ki daal di hai.woh bhi toh issi qisam ki baat keh raha hai.aur ek misra arz kerun ga:Musafir shab se uth'te hain,jo jaana duur hota haiAur Fatah qurbaniyoun k bgher nahi milti.Shahadatein,casualities,nuqsan toh pakistan ka definitely ho ga lakin agar Pakistani qaum Allah ki raza k liye puray khuluus se muttahid ho gayee toh inshaAllah fatah hamari ho gi. @Anonymous:yar kisi analyst ka analysis ghalat ya theek hona toh aam baat hai.warna agar sirf analysis ki base pe log spiritual kehlatay toh shayad najam sethi k sab se zada mureed hotay kyun k uss k 95-97% analysis aur mukhbariyan authentic aur sahi nikalti hain. Side note:Wasay oriya saheb bhi apne previous columns ki roshni mein kaafi confuse nazar aatay hain.kabhi 2 saal mein dajjal k khuruj ki tmeline daetay hain,toh kabhi anmerica ki 100 saal ki policy pe yaqeen kertay nazar aatay hain. Lets see what happens until 24th Dec.
@HussainName any columnist who is not controversial? or name any present leader who is not controversial? I hope you will find all controversial with many opponents. @Faqr:mein ne oriya saheb ko controversial nahi "confuse" likha tha.aur 24th december ko kya hai?koi khaas event hai kya? @hussainAaj kal sub hi confuse hain, Oriya ke illawa, Dr. Safdar Mehmood hain jin ke column mein post krta hun but unhain aap khoob criticize krte hain due to his support to democracy :)According to above anonymous, 24 Dec ka keh rahe k Nato ki supply dobara khul rahi, Shaid koi khabar ho kisi news channel pe. @AKGhazwa-e-Hind ab zardari ne to nahin larni, Astagfirullah. Abhi to Ghazwa-e-Hind na hi ho to behtar hai iss Govt. ke hote huway. @cocoImam Mahdi AS and Dajjal ka zikr to Ahadith mein bohat tafseel se hai still you don't believe. @cocoDajjal ka zikr Bukhari Sharif mein 40 se zaida Ahadith mein hai, agar kahin to mein app ko woh 40 se zaida ahadith bta sakta hun, bulke Hazrat Issa AS ka bhi zikr hai, Please read below Hadees of Bukhari,صحیح بخاری:جلد سوم:حدیث نمبر 2015 حدیث متواتر حدیث مرفوع مکررات 12 متفق علیہ 9 یحیی بن بکیر، لیث، عقیل، ابن شہاب، سالم، عبداللہ بن عمر رضی اللہ تعالیٰ عنہ سے روایت کرتے ہیں رسول اللہ صلی اللہ علیہ وآلہ وسلم نے فرمایا کہ ایک بار میں سویا ہوا تھا کہ (توحالت خواب میں دیکھا کہ) میں خانہ کعبہ کا طواف کر رہا ہوں میری نظر ایک آدمی پر پڑی، جو گندم گوں تھا، اور اس کے بال سیدھے تھے اس کے سر سے پانی ٹپک رہا تھا میں نے پوچھا کہ یہ کون ہے جواب ملا کہ یہ ابن مریم ہیں، پھر میں نے ادھر ادھر نظر دوڑائی تو ایک موٹے آدمی کو دیکھا جس کے بال گھنگھریالے تھے اور ایک آنکھ سے کانا تھا گویا اس کی آنکھ انگور کی طرح پھولی ہوئی تھی، لوگوں نے بتلایا کہ یہ دجال ہے یہ لوگوں کا بنی خزاعہ کے ایک شخص ابن قطن کے مشابہ تھا۔2nd, Mahdi AS ka bhi zikr hai Bukhari o Muslim mein, aik jagha unhain Akhri waqton mein aik naik humran kaha gya aur dosri jagha dande se hankne wala shakhs. 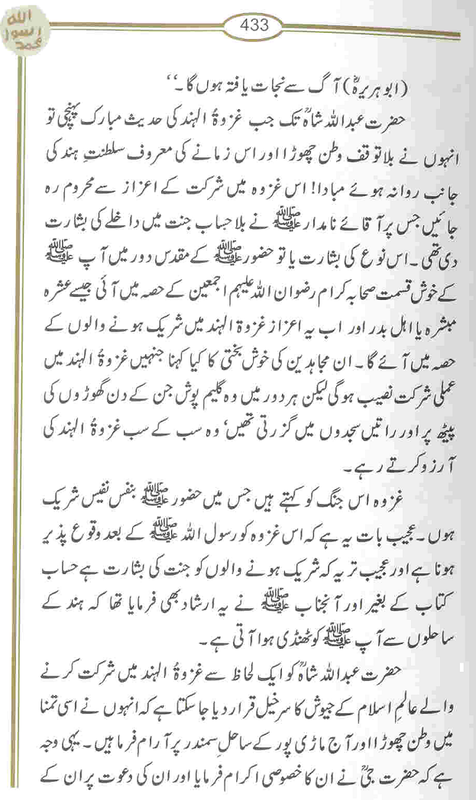 I request, plz download Bukhari Sharif and read yourself.